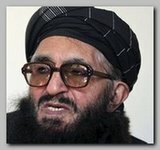 A senior Afghan peace negotiator Arsala Rahmani, 70, has been shot dead in Kabul, officials said on Sunday 05/13/2012. Arsala Rahmani was a former Taliban minister and a key member of Afghanistan’s High Peace Council, which leads Afghan efforts to negotiate a peace deal with the Taliban. Correspondents say his death is a major blow to President Hamid Karzai as Arsala Rahmani was a key figure in reaching out to Taliban commanders. Last year the chief of the peace council Burhannudin Rabbani was killed in a suicide attack on 09/20/2011 (see – Rabbani’s Assassination). His US-educated son, Salahuddin Rabbani, was appointed to replace him last month. Police say that Aesala Rahmani was shot dead on Sunday morning by an unidentified gunman while on his way to work in western Kabul, in what was described as a carefully planned attack. Gunmen driving a white Toyota Corolla fired a single bullet using a silencer. Mr Rahmani was shot in his heart and died instantly. His nephew, who was also his driver, didn’t even realise he had been shot,” Kabul police chief Gen Ayub Salangi told reporters.. The Taliban have denied involvement in the killing of Arsala Rahmani. Arsala Rahmani was one of the first senior Taliban members to join the peace process and his death will be of concern to other Taliban officials considering engaging with the government, a senior presidential aide told our correspondent. He was a critical figure in President Karzai’s plans to reach out to Taliban commanders, although it is unclear how many senior leaders he managed to bring into the fold. Nevertheless the president frequently consulted him to gain insight into the inner workings and the thinking of the Taliban leadership. Arsala Rahmani was responsible for the committee within the peace council that considers the release of Taliban prisoners from Bagram and other Afghan prisons. Arsala Rahmani served as minister of higher education in the Taliban administration that ruled Afghanistan for five years until the US drove them from power in 2001, in operation “Absolute Justice”.But he had been politically active long before the birth of the Taliban movement, holding political office in Afghan administrations during the 1990s. Arsala Rahmani worked with the Afghan president Hamid Karzai already since 2005. He was one of several former Taliban officials removed from a UN blacklist last July as a signal of support for Afghan peace efforts, which meant that a travel ban and assets freeze were lifted (see – U.N Sanctions 07.16.11). Afghanistan’s 70-member peace council was set up two years ago by President Karzai to open negotiations with insurgents. The council was credited with reconciling hundreds of Taliban field commanders, but had failed to woo any senior figures away from the insurgency (see – Enigmatic-Peace). Although the Taliban denied sanctioning last year’s killing of Mr Rabbani, they view the Western-backed Karzai government as illegitimate. Another senior negotiator, Mohammad H. Munib, was killed a month ago, on 04/06/2012, by a suicide bomber in Kunar province. And in March the militants suspended parallel preliminary peace negotiations with the United States, saying US efforts to involve the Afghan authorities were a key stumbling block.